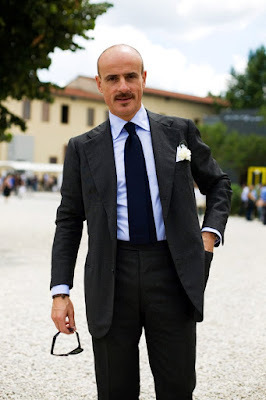 From The Sartorialist, via the eagle eye of Martha at Nibs. 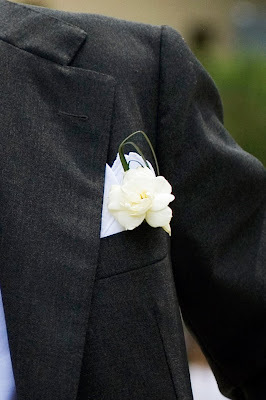 Instead of pinning on the boutonniere, the groom could simply tuck it inside his breast pocket along with a pocket square. Simple and chic. Also note: if the suit fits well, it's more elegant to skip the belt. Pesky?! Boutonnières are the coolest thing ever! Are we on the same page or what? I just included this in my board today!